It’s no secret that the life of a modern office worker is filled with batteries. From the mandatory cell phone to the almost mandatory laptop… and even to the occasional ephemera like that digital camera or handheld gps. Battery management can be a key to productivity (backup batteries, anyone?). But what are the best practices for everyday battery usage? What can we do to ensure optimal performance and battery life? Do not set your laptop on a bed, couch, pillow, or in some cases your lap. This will heat up the laptop due to poor ventilation and destroy the battery. Kill it once a month. Once a month allow the battery to go through a complete charge cycle. If you are using a laptop or cell phone, just pay attention to the warning message that tells you to plug it in and you should be fine. Do not expose to extreme heat, this will drastically shorten their life spans. One day in a hot car (90 degrees plus) and you will not be able to hold more than a 10 minute charge. Do not expose to extreme cold (below 40 degrees can start to harm battery life). 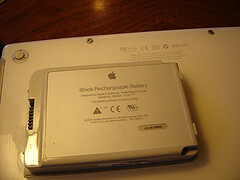 If you do, allow the battery to warm up to room temperature before using it. Use your laptop (phone, iPod, etc) at least once a month. If you let the laptop sit in a drawer too long without using it, you will damage the battery and affect its ability to hold a charge. I have a question not answered above: remember a few years ago, everything that came with a lithium-ion battery basically BEGGED you to fully charge the battery before even thinking of using it. Now, you never see that. When you get a new Ipod, Apple encourages you to begin loading it up with songs while it’s charging for the first time. Did I miss something? I was always told if you didn’t charge it fully the first time, your battery life would be compromised for the life of the battery. Is this no longer true? Perhaps you can tell me what you know in the comments.